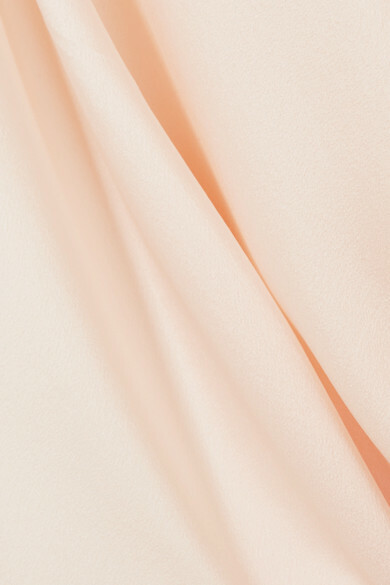 Three Graces London's 'Evelyn' dress is beautifully made from supple blush silk-charmeuse sourced from the most reputable ateliers across Europe. Cut to hit just below the knee, it's strung from light cotton-voile straps that can be tied into a neat bow. Wear yours at night or slip it on with a cashmere sweater for sunset walks along the beach on your next vacation. Shown here with: Monica Vinader Chain.